What is a Pwned DFU Mode ? The DFU (Device Firmware Update) mode is needed to update/upgrade/restore an Apple iDevice, however if you want to flash a custom .IPSW file you must enter a Pwned DFU mode i.e. a special DFU mode which had exploited limera1n jailbroken core to allow operations not permitted by the normal Apple DFU core. Here is a simple to follow, visual tutorial on how to enter the Pwned DFU mode on an Apple device using ever handy redsn0w jailbreaking tool. Launch redsn0w and click "Extras". Now click "Pwned DFU" button. 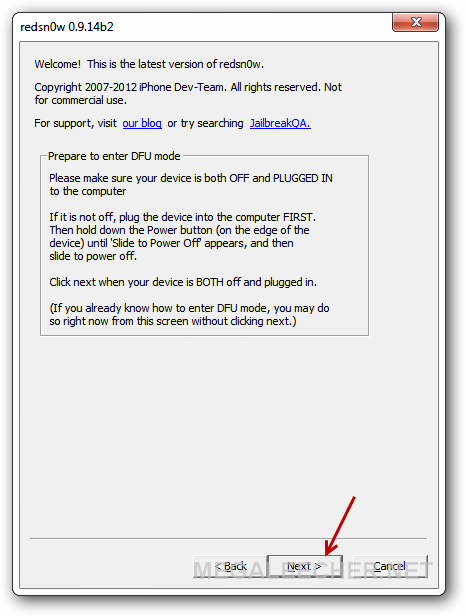 Follow the onscreen instructions to get your device into normal DFU mode as instructed (if not already in DFU mode). Once in DFU mode redsn0w will start the limera1n exploit upload to get into the PWNED DFU MODE. 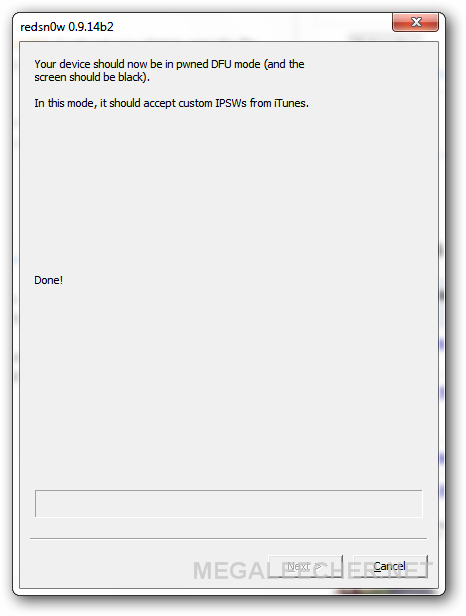 Once this gets completed your iDevice screen will be black and you should have sucesfully entered the Pwned DFU mode.